cherryu We are delighted to be recruiting for two new positions. We are looking for talented individuals to join our growing team of Property Maintenace professionals working across the South East of England. 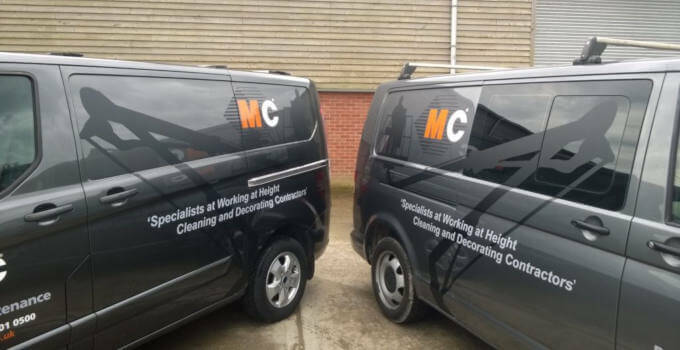 If you are an experienced painter and decorator or a qualified driver with experience driving up to 7.5 ton vehicles, please check our job vacancies page for more details. Applicants should speak with Tony Guess. To apply call 01243 530076 or email tony@mcpm.co.uk with your CV. 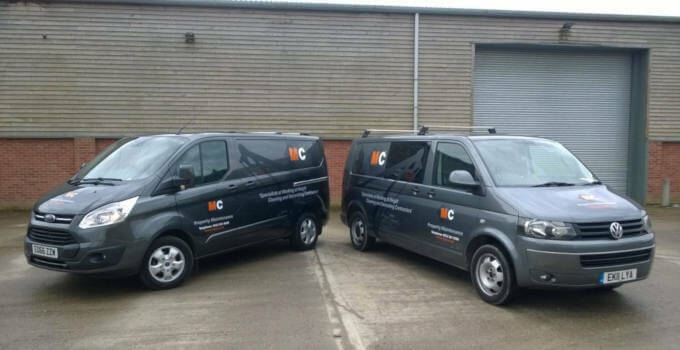 After much deliberation we have chosen the new livery for our vehicles. Hope you like it. 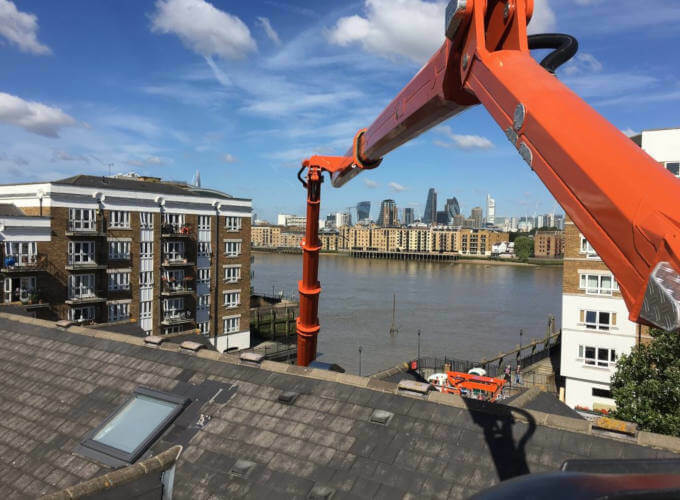 When Go Ape requested a cherry picker hire from MC Property Maintenance at their enclosure in Battersea, London, we jumped at the chance. 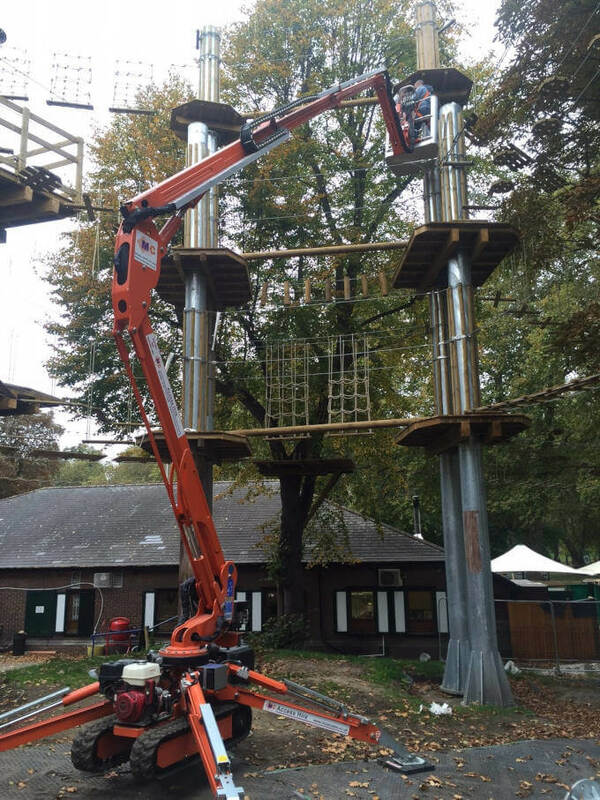 After Go Ape spoke to our friendly hire team to discuss their requirements, we agreed that the Easylift R180 would be the best machine to take with us. 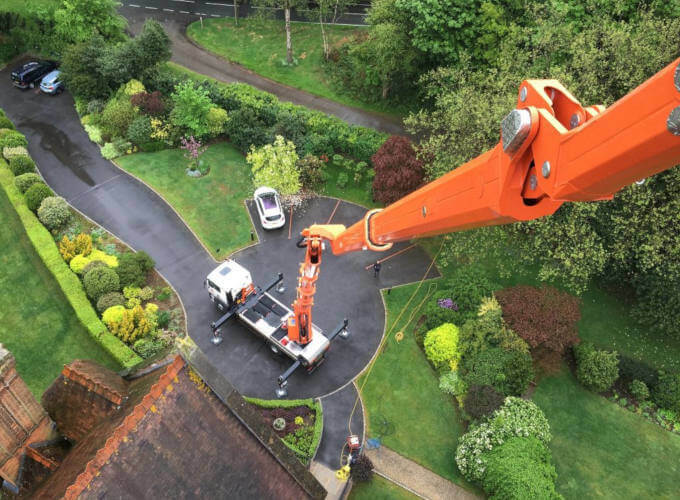 Not only were we able to work well within the parameters of the cherry picker on the uneven and soft ground the narrow track system made working on this undulating terrain safe and flexible. Don’t tell the Boss but I think our operatives rather enjoyed playing on the apparatus after the job was complete. When you have limited access in London, you need to come up with some lateral thinking. in this case up and over was the order of the day. 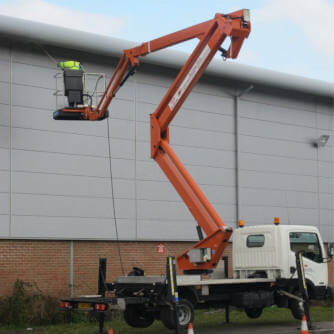 Our beloved Palfinger 480 was able to make light work of the job and the client was delighted with the result. 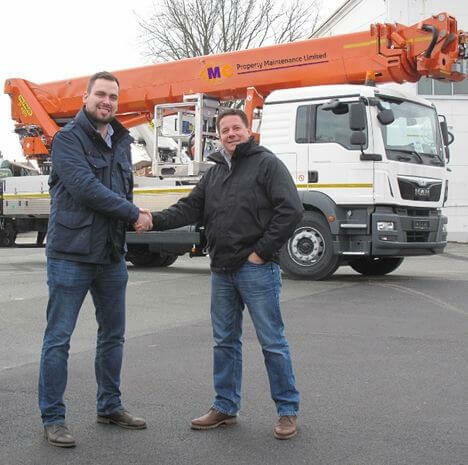 The Palfinger 480 makes short work of this impressive building in Oxted. 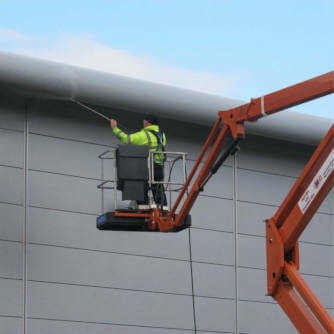 MC Property Maintenance won the tender to paint, repair, clean and maintain this property. 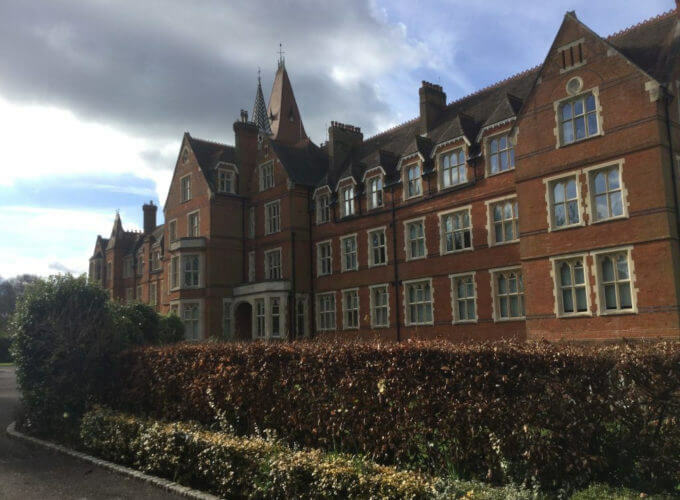 This 10 week project incorporates all our specialities, Doff Cleaning, Painting and Decorating, Gutter Cleaning and Wood repair.